Skype Interviews have become commonplace in interview processes, and it’s no longer just skype. Companies use a host of video platforms like Google Hangouts or even proprietary platforms. A Skype interview has all the challenges of a job interview plus the complications of doing it online. You will come across technical issues and other visual problems. Dress to impress – This one is the most common interview tips for job seekers. While a formal dress code is expected you need to alter it for a video interview slightly. Wear contrasting colors, for instance, a light colored shirt and a dark colored suit. Darker colors appear better on camera rather than light shades. Also, avoid wearing jewelry or shiny objects or clothing that may reflect on the camera. Pick an appropriate location – This is one of the most important of interview tips for a skype interview. You need to pick a location which has a pleasant backdrop; ideally, it should be a plain wall that does not distract the interviewer from your face. If you are doing the job interview from home, then make sure you lock the door and keep yourself free of any sound and visual distractions. Make sure the lighting is also good, and it shines on your face instead of behind you as it might create a halo and obscure your face. 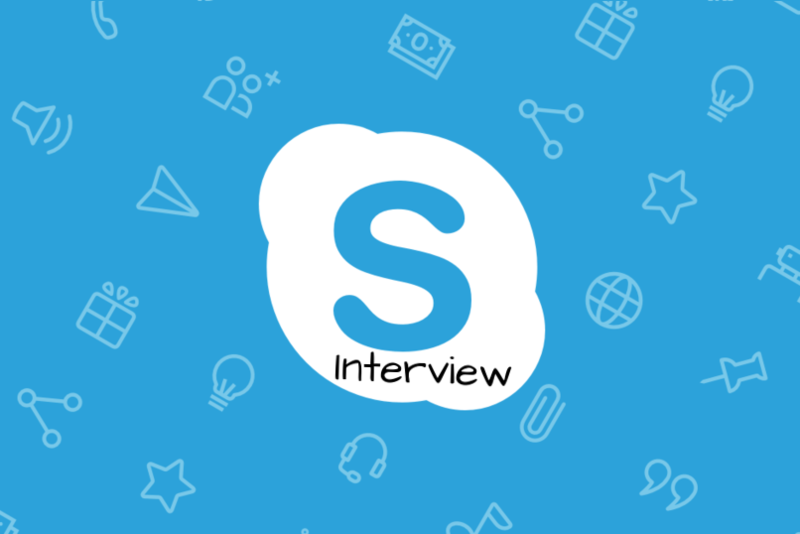 Test and troubleshoot for technical issues – The biggest challenge for a Skype interview is the technical challenges that may come up. You may have problems with the equipment (headphone, camera, laptop etc.) and internet issues like disconnection or erratic connection. You need to test all your gear for a skype interview beforehand and see how you fare in it. Have a contingency plan in place; you can have a spare laptop or even keep a smartphone handy to complete the Skype interview just in case. However, avoid using a smartphone as it will not allow the same visual effect as a laptop. Keep another internet connection handy, maybe the WiFi plus your phone network to connect in case of problems. Learn to stay engaged with the interviewer – Body language is a significant determinant in a Skype interview. Take this factor as seriously as you would for a personal face-face interview. You should sit straight and keep your hands on the table and not crossed against your chest. At the same time, don’t fidget with things in your hands as it may distract the interviewer. Learn to maintain eye contact with the camera instead of looking at the screen; this will ensure that the interviewer feels like they are talking face to face with you. You can also use a tool like MockAi to prepare for this video interview. You will get detailed feedback about the video that you can work upon. Make a good first impression – Many factors seem small but play a significant role in shaping your impression with an interviewer. Start with your Skype username and photograph, make a new Skype ID for your work purposes and put up a professional looking picture, this will create a good impression. Ensure you have all your documents and resume handy in print beside you so that you can refer to it in case, although don’t make a ready script as it will be very distracting. Keep your email open so that you can send in your social media accounts, blog or other documents instantly to the interviewer. Apart from these handy interview tips, the most important key to a successful Skype interview is confidence. The Skype interview is an intimate job interview, and the recruiter is entirely focused on you, so make sure you are present in the moment and give them enough reasons to hire you. Read more such career tips in our blog here.